Popular with west-end shoppers, Heddon Street is packed full of some of London’s top restaurants and bars – so if you’re visiting Mayfair, it’s a great place to stop and refuel. 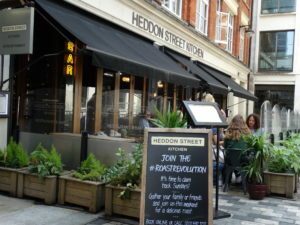 And during the summer months, there’s plenty of room to sit outside on one of the many terraces in Heddon Street. Sabor – A Spanish restaurant specialising in tapas and seafood. Sabor was founded by former Barrafina chef Nieves Barragan and José Etura. 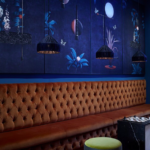 Gordon Ramsay’s Heddon Street Kitchen – Serving gourmet European dishes all day, from breakfast through to dinner. This is a great option for families as there’s a children’s menu. There’s even an alfresco terrace to enjoy on sunny days. tibits – Vegetarian heaven! Stop here for lunch. Serving an array of fresh vegan and vegetarian food, buffet style. Momo & Black Dice – North African restaurant Momo serves hot and cold mezze, ideal for when you’re in a rush as it can be ordered in advance. 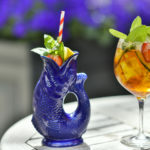 Relax on the secluded terrace and enjoy a signature cocktail. Below Momo is Black Dice, a lively evening bar with DJs at the weekends. Tank & Paddle – Sometimes beer and pizza is all you need. What more could you want after a long day at work? 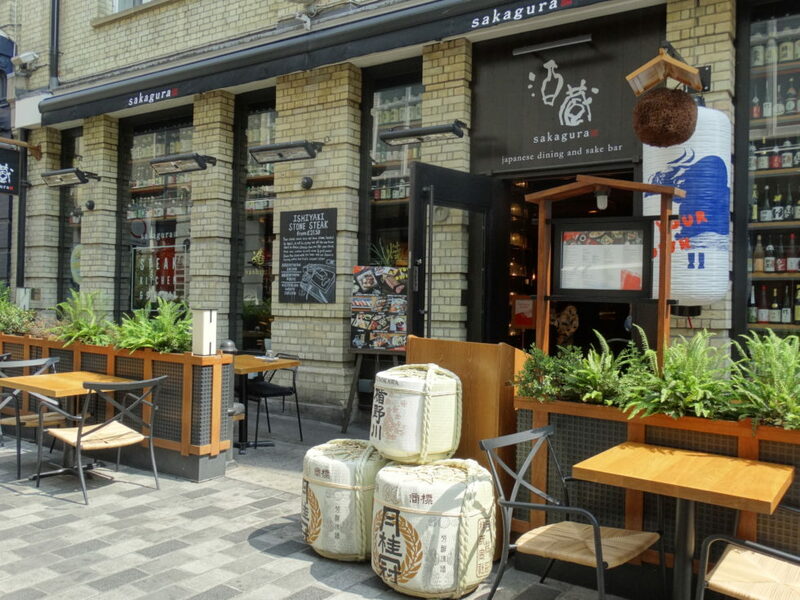 Sakagura – Steak kitchen and sake bar. Japanese woshuku dining in collaboration with the team at The Araki. As well as the traditional Japanese menu, there’s a special sake cellar and bar. Icebar – The UK’s only permanent bar made entirely of ice. This one is a huge hit with tourists and known for its cocktail menu. Piccolino – A lovely place for a family meal. Piccolino’s has great Italian food, an alfresco terrace and a Cicchetti bar downstairs which serves Venetian tapas. Aubaine – A brasserie serving French classics and fresh desserts all day long. 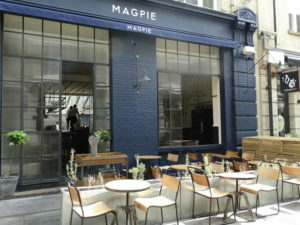 Magpie – From the team behind Hackney’s Pidgin, Magpie is a modern British restaurant which serves sharing style plates.